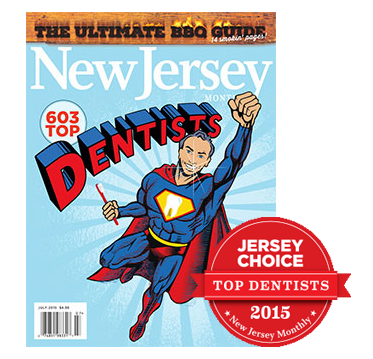 What makes us the best local Dentist? From children to seniors, Rosenfeld Dental Studio offers a soothing patient experience. In our Westwood dental practice, you won’t wait in line or feel rushed through your visit. Instead, you’ll find a modern, inviting atmosphere and friendly, individual attention. Relax in our comfortable reception area, enjoy a complementary hot or cold beverage, and know that our focus is on you. Our team is dedicated to your comfort and providing an outstanding level of care, one that you may not have experienced before. For those who desire it, nitrous oxide is available to control anxiety. Our wheelchair lift even makes us easily accessible for those with physical challenges. Dr. Robert Rosenfeld has created dazzling, healthy smiles at Rosenfeld Dental Studio in Westwood since 1993. With more than 29 years of dental experience, Dr. Rosenfeld emphasizes cosmetic dentistry, restorative and general dentistry, and implant dentistry. Dr. Rosenfeld is a Clinical Assistant Attending at Hackensack University Medical Center's Dental Residency Program, and was recently inducted as a Fellow in the International Academy of Dental Facial Esthetics. Backed by his dedicated, multidisciplinary team, Dr. Rosenfeld can give you the smile of your dreams. Whether you visit our office for porcelain veneers, teeth whitening, dental implant restorations, or a full mouth reconstruction, we believe in doing it right the first time. Dr. Rosenfeld will partner with you to create just the image you want, then help you maintain excellent oral health and beauty for a lifetime. 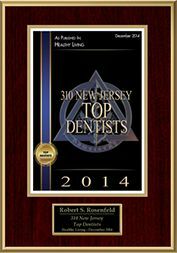 Experience exceptional dentistry for exceptional smiles at Rosenfeld Dental Studios. Whether you are seeking cosmetic dentistry, general dentistry, or implant dentistry, Dr. Rosenfeld will meet and exceed your expectations. Contact our Westwood dental practice today for your appointment or free cosmetic consultation. Residents from River Edge to Park Ridge, from Ridgewood to Alpine and all points in between will appreciate our outstanding service and convenient location!